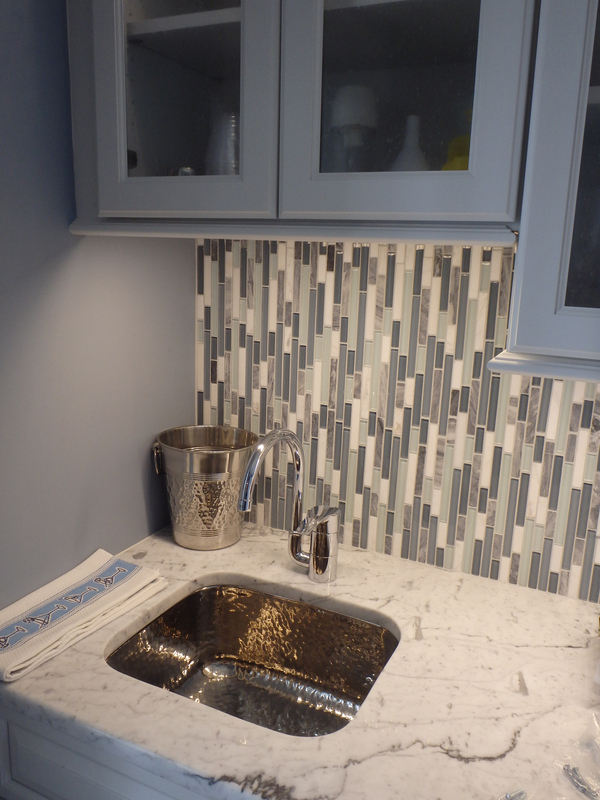 HOME / THE INSPIRATION GALLERY - Kitchens / Glass and Stone linear mosaic used for a bar backsplash. 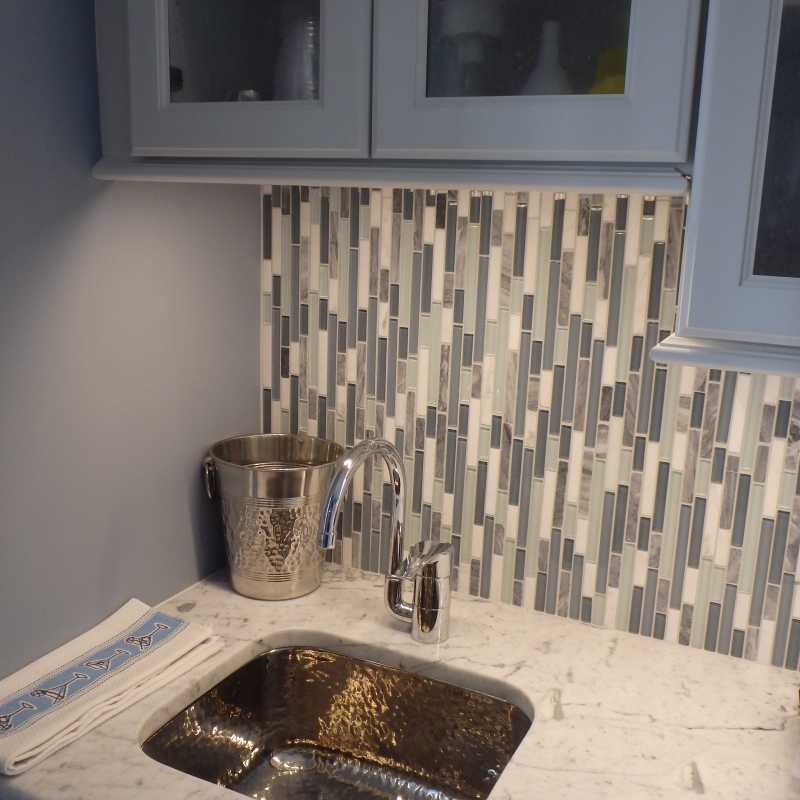 Glass and Stone linear mosaic used for a bar backsplash. A linear glass and stone mosaic is the perfect compliment for this bar's backplash. Installation: Fettig Tile - Orleans, MA.